So you finally finished the book you have been working on for months? Ready to see it in print? E-BookTime is the book publisher who can turn your dream of becoming a published author into a reality! We offer authors the ability to quickly and easily have their book published as a print on demand paperback and as an ebook for Amazon’s Kindle and Barnes & Noble’s Nook. If you are not familiar with print on demand, it is a process where the printer can create a single copy on demand for shipment to customers. It costs only $395.00 to publish as a paperback and ebook if you choose none of the optional services. You will also receive five free copies of the book. Royalties of 30% for paperback sales from our store (direct sales) and 15% for sales through other retailers (wholesale sales). A higher royalty rate is paid if you set a retail price above our minimum. Click here for more information. For ebook sales we pay 50% of the amount we receive from retailers. We believe you will find these rates compare very favorably to those offered by any other paperback POD book publisher. We pay royalty fees every month regardless of the amount, normally within 15 days after the end of the month. Special discount prices for sales to authors for use in promotional events or personal sales programs. Note: Royalties are not paid on these sales. Paperback books are listed for sale by Amazon.com, BarnesandNoble.com as well as other major online retailers and are available for special order through most walk-in bookstores. eBooks are sold by Amazon.com and BarnesandNoble.com. An ISBN is assigned to the paperback edition which means inclusion in Books In Print. If you want to have your copyright registered, we will be happy to submit the application for you. We charge $125.00 for this service which includes payment of the registration fee. Please be advised it generally takes six months or longer to receive the registration certificate from the US Copyright Office. Registration of your copyright is not required for us to publish your work. If your manuscript has pictures, illustrations or other images there is a fee of $5.00 per image. Please be aware that all interior pages of books are printed in black and white only. If you submit images in color we will convert to grayscale for printing. There is no fee for pictures or other artwork to be used on covers. A Library of Congress Control Number (LCCN) is not required for publishing, however, you may want one to be assigned. The LCCN is a unique identification number assigned by the Library of Congress to the catalog record it creates for each book in its catalog system used by most libraries. While assignment of a number does not guarantee libraries will acquire your book, libraries seldom acquire books without an LCCN or CIP data. For a $50.00 fee we will arrange for assignment of an LCCN to your book and submit a copy of it to the Library of Congress. Your published book will be available for sale from our store approximately one to two weeks after you approve the proof copy of the text and cover files we email to you. That generally means your book will be available for sale within four to six weeks of the day we receive your manuscript and payment. Because of the number of parties involved and their own time schedules, it may take an additional two to three weeks for your book to be available through Amazon and the other online retailers, but it is usually sooner. You retain full rights to the book we publish. We acquire no right of ownership to the work. You have the right to directly sell the book and to enter into other publication and sales agreements without restriction. Copyedit service is available for authors who think their manuscript needs some extra polishing work to make it ready for printing. This service is only $.01 per word. Click the green Copyedit button at the top for more information about copyedit services. Fee includes a $12.00 initial cataloging service charge. There will be an annual catalogue renewal charge of $12.00 for books which did not have at least $100.00 in sales during the preceding year. Because of the printing costs involved there is a minimum retail price for paperback books depending upon the number of pages, however, you can set a higher price if desired. For eBooks there is a minimum retail price of $5.95. You can set a higher eBook price, not exceeding our maximum. See table below for a list of current minimum print book prices and maximum eBook prices. Our standard book size is 5 1/2” X 8 1/2”, however, we can also publish in a 6” X 9” size if desired. They have full color laminated covers. The interior pages are printed on high quality, acid-free, book-grade paper stock. Authors have the choice of light creme or white paper. Total interior page count must be no less than 24 and no more than 550 pages. Interior content is black and white only, sorry, no color. If images or diagrams are included they are printed as grayscale. Please note that if the number of interior pages is less than 108 we cannot include print on the spine of the cover. Free cover templates are available. We will add the book title and author name. If you wish, you may supply a small photograph or other image in a jpeg file for overlay onto the front, back, or both covers, for example, a photograph of the author for the back cover. Of course we welcome custom designed covers. If you would like to provide a cover, please ask us for cover specifications. The following table lists book prices and royalty rates for paperback editions at the minimum retail price. A higher royalty rate is paid if you set a retail price above our minimum. Click here for more information. NOTE 1: The minimum retail price for ebook editions is $5.95. NOTE 2: Authors who order 25 to 99 copies will receive an additional five percent discount off the price of the books. Orders for 100 to 249 copies will receive a ten percent discount off the price of the books. Orders for 250 or more copies will receive a twenty percent discount off the price of the books. If the author sets a retail price different than listed above, the Author Discount Price will be that shown for the actual page count of the book. For more detailed information please download and review our full publishing guide. For the Microsoft Word version, right click Publishing Guide (MS Word) and then "save as". For the Adobe PDF version, right click Publishing Guide (Adobe PDF) and then "save as". Of course questions are always welcome so feel free to email us at publishing@e-booktime.com or telephone us at 1-877-613-2665. Manuscripts - We prefer to receive your manuscript in a Word file, but WordPerfect, Works, and others are all OK. We cannot accept manuscripts in Adobe (.pdf) format. Don't worry about how your manuscript is formatted in terms of spacing, margins, page breaks, copyright page, table of contents (if you want one), etc. We will handle everything as long as we can understand your text. Your manuscript text should be publication ready as far as what it says; however, you will have an opportunity to review the formatted text print file and request changes prior to actual publication. If you think your manuscript may need a thorough editing before publication, please consider our copyedit service. Click the green Copyedit button at the top for more information. We can also accept printed manuscripts if you do not have it in a computer file, however, there is an extra fee for scanning. It must be typed in a non-cursive font similar to what you see here so our scanners can read it. The Order Form - We must have a complete mailing address, email address and Social Security Number. These are essential for staying in contact with you, sending you royalty payments and reporting income to the IRS. The Book Description is very important. This is displayed on websites selling your book. The other items are related to the formatting and pricing of your book. Most are optional, so if they are left blank it won’t delay our processing. If something isn’t clear or if you just plain don’t particularly care about an item, leave it blank and we will contact you for clarification if needed. Text Style – The standard text style we use is what is most commonly used in the publishing industry. That means we use a single space between sentences, indent paragraphs three tenths of an inch, justify text both left and right, and let paragraphs split between pages. Our texts do not have blank lines between every paragraph unless the author requires it. If there are blank lines between every paragraph they would not be indented. On our order form you can specify a particular font and size if you wish and we will do our best to use it or something similar. If you don’t indicate one we will use the one we think is most common and easiest to read when printed – Times New Roman size 11. Right click here and then "save as" if you want to download an Adobe file showing some examples of the most common fonts used in printed books. Formatting - We accomplish all text formatting required to get your raw material into a professional, pleasing book format. This includes any special format requirements you indicated in the Order Form. The format of the manuscript you send us is not important as long as we can understand it. Concentrate on what the text says, spelling, grammar, etc., and it will be fine. Cover - The final building block used to publish your book is the cover. You can use one of our cover templates, supply your own finished cover image, or we can do quite a lot of custom cover work (free) but we don’t do creative graphic art. That means you could provide us a jpg image to use for the background of the front, back and spine of the cover, ask for text effects for the title and other text, supply an author photo for the back cover, etc. You can’t tell us verbally to create artwork in the sense of drawing things but we can do pretty much anything else to customize a cover to your desire. We also have a source where we can obtain images to use for cover backgrounds so if you tell us what you might like we can probably find something suitable. If you need us to scan a picture or drawing for the cover we can do that as well. Click the covers tab above to see our assortment of cover templates. When we receive your submission we will open your manuscript file and give it a quick once over to make sure it is understandable and was not scrambled somehow in transmission. If everything looks OK, we will send you an email letting you know that we have it and will start work on publishing your book. You should review the files carefully. Check the cover, copyright notice, table of contents, general page format, format of the beginning of chapters, one last check for spelling or grammar if desired, etc. Let us know if something needs to be changed, even if you now want it formatted differently than you said on your Order Form. 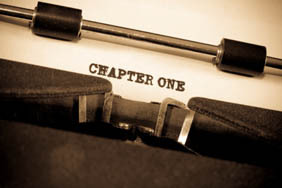 We want you to be completely satisfied with our book publishing process. If you have changes, we will make them, recreate the files and email them to you again for review. When you tell us your book is ready we will submit everything to the printer for set-up. Set-up takes approximately 5 days. When it is complete we will notify you that your book is available for sale and provide you a special form for ordering books at the author discount price.